But how many of you know about the art of crafting such a fine boat, how it was a family business, passed from father to son? Or the fact that rich people had their own gondolier, and that this boat was their main means of transport in old Venice, having a special passenger compartiment? 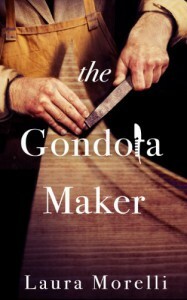 Laura Morelli's "The Gondola Maker" paints a well-documented image of 16th century Venice, the story being centered on Luca Vianello, the heiring son of a gondola-making family. When his moher dies, he blames his father and because of an accident at the boatyard resulting in everything being burned down, he feels he no longer belongs and tries to recreate his life. This is how Luca becomes from a craftsman, a simple gondolier. But it is very clear that he doesn't belong, he is destined for something more. He draws the attention of a successful painter and becomes his private gondolier. In the meantime, he is working on restoring an awfully damaged gondola of this painter, that was probably crafted by Luca's grandfather. Luca also becomes obsessed with a young woman, daughter of a patrician by first seing her portrait in the artist's room. While he does strange side jobs for this woman, they fall in love with each other. But they clearly belong to two different worlds, him a gondolier and she a rich woman. 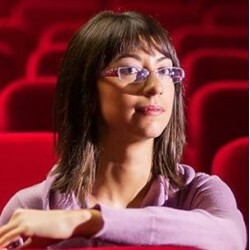 The story is told from the perspective of Luca Vianello, 1st person narrative, but there are also a few short chapters in 3rd person narrative, following "The Councillor", and while they somehow interrupt the flow of the book, the information that they provide is vital for a better understanding of what is happening.